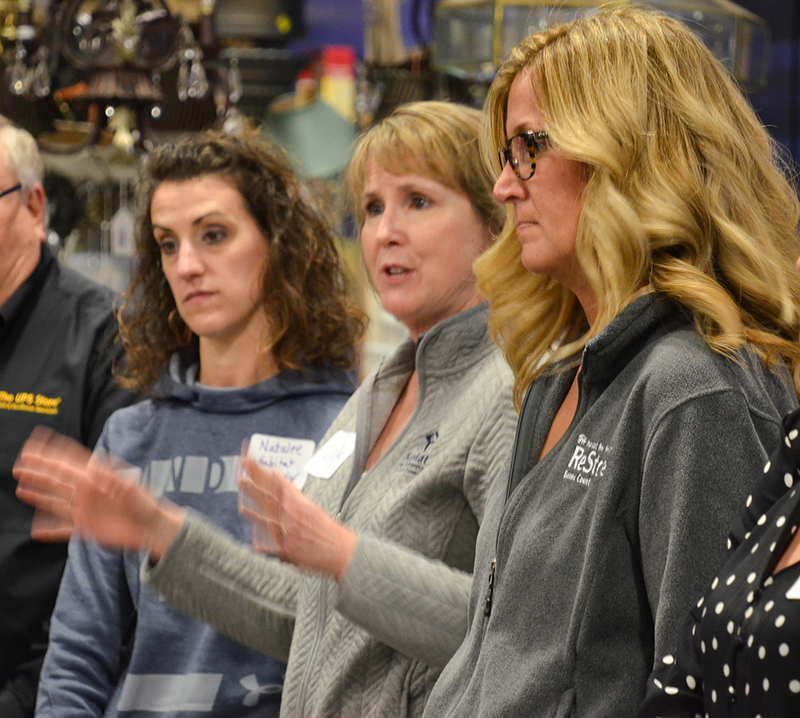 Habitat for Humanity of Boone County representatives explain the Restore mission to attendees of the Zionsville Chamber of Commerce First Tuesday networking event. From left, ReStore Manager Natelee Baker, HFHBC Executive Director Liz Qua and HFHBC Volunteer Coordinator Amy Hartwig. Zionsville Chamber of Commerce held January’s First Tuesday networking event Jan. 8 at Habitat for Humanity Boone County’s new Restore in Zionsville. Restore, 10650 Andrade Dr., Zionsville, is a retail shop benefitting HFHBC by selling building supplies and home goods and accepts item donations on location. HFHBC also picks up salvaged items and appliances from homes, such as cabinets, sinks, bathtubs, refrigerators and more. All proceeds from ReStore go toward building homes for Boone County residents. First Tuesday is a monthly networking event organized by the Zionsville Chamber of Commerce. Each month a different Zionsville Chamber member has the opportunity to play host to the event at their place of business or another location. First Tuesday features networking, door prizes, drinks and appetizers and is sponsored by Old National Bank. HFHBC hosted the event as part of its grand-opening festivities. 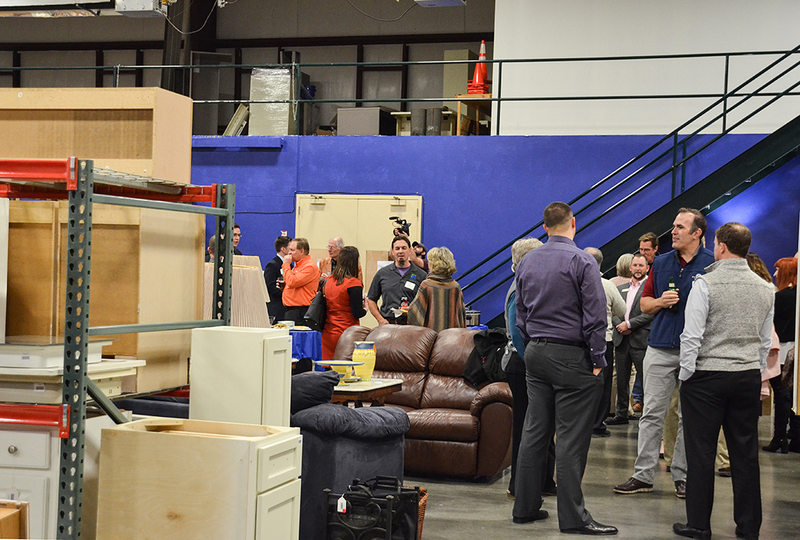 Attendees enjoyed an evening of networking and also were encouraged to shop at Restore. HFHBC sweetened the deals by sending event-goers on a scavenger hunt for orange tags, which could be used for 20 percent off a purchase. Habitat for Humanity’s mission is to partner with low-income, hardworking families in Boone County under the conviction that every person and family deserves a simple, decent and affordable place to live in safety and dignity.